If you’re looking for an easy winter decor project that even a kid could do, this ombre snowflake art is perfect! Looks great on the wall or mantel. I love the snow! I know that some of you who are sitting in snow covered areas are laughing at me here in snowless Atlanta – but seriously, I do. And I always end up living in areas where there is no snow . . . what is that about? 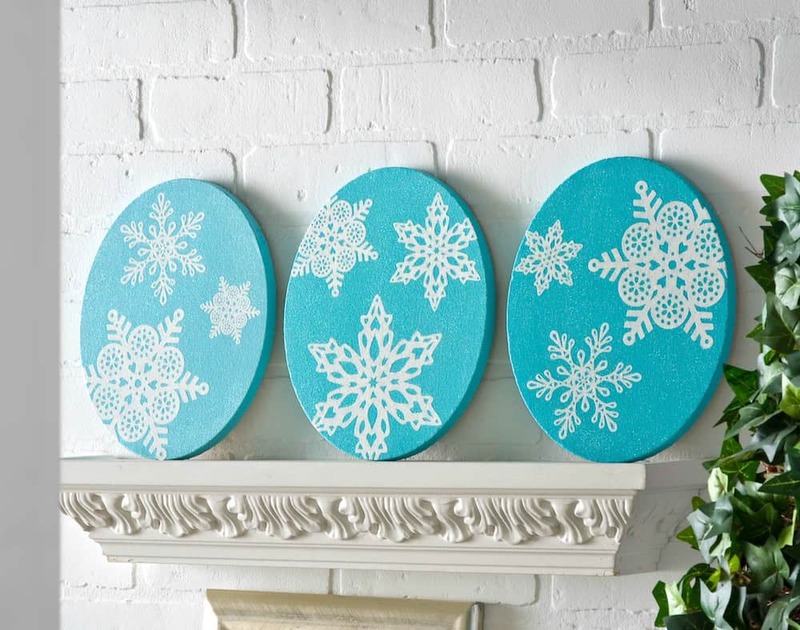 Well, I’ve figured out a way to have snow in my abode all year round – with these DIY ombre snowflake art on canvas. Just painting canvases one color wasn’t going to work for me, which is why I went for the ombre effect. Even though these canvases just give the snow idea without actual snow, I’m still going to have the hot chocolate. Is that okay? The first thing you need to do is paint your canvases in an ombre fashion. I was dumb and DIDN’T get pictures! But I did another post where I used an ombre technique and it’s really easy. 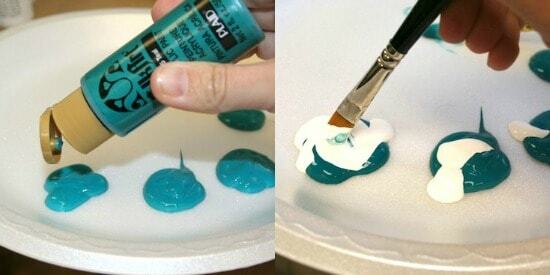 Simply add a few paint piles to a plate and then add increasing amounts of white to each pile, stirring as you go. 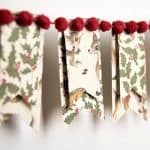 Paint out a test strip and lighten or darken as needed, until you have three different shades you like – then paint your canvases and let dry. This is where the pokey tool comes in handy. 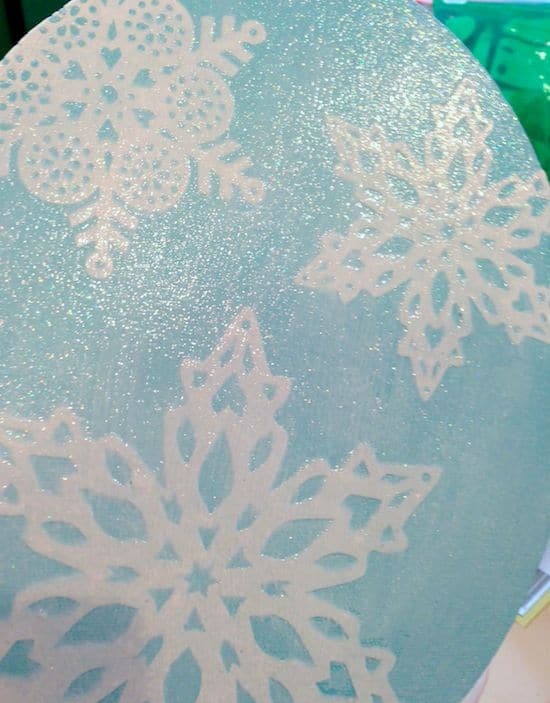 I used something for clay (I don’t even know what it is), but you’ll need a sharp something-or-other to poke out the little paper bits that are still in the snowflakes. It took a minute to poke these out, but you can do it while watching Real Housewives. 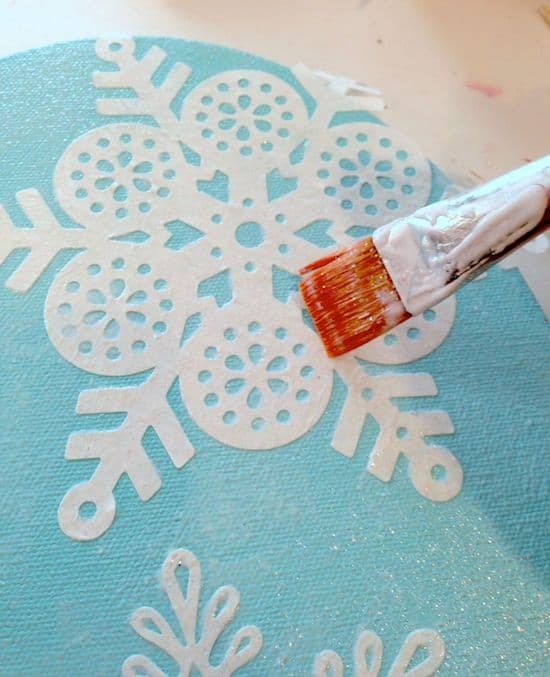 Decide on your snowflake layout on each canvas, and add them to the fronts of the canvases using Sparkle Mod Podge. Let dry for 15 – 20 minutes. 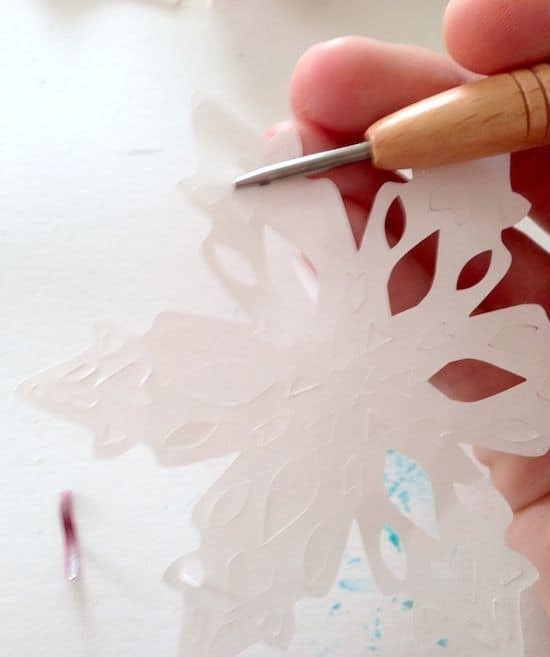 Once the canvases are dry, use scissors to trim the extra snowflake off of the edges. Finally, add a second (and even third!) 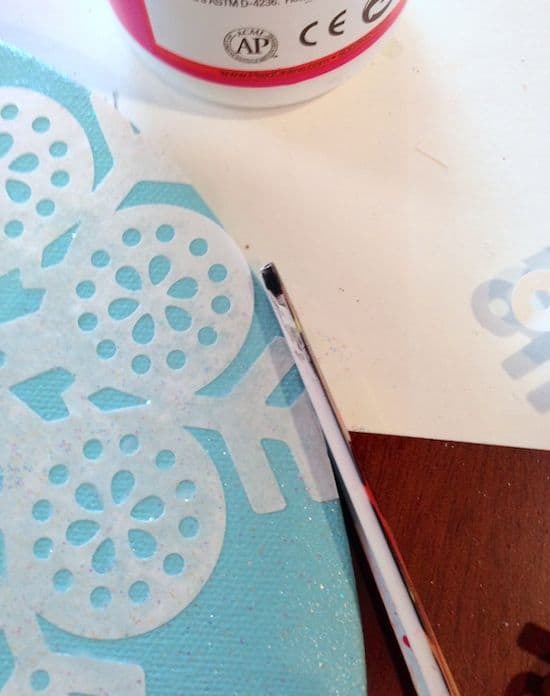 layer of Sparkle Mod Podge to the tops of your canvases for extra glitter and let dry. 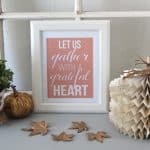 You can display these babies on a mantel, shelf or hang them on the wall. 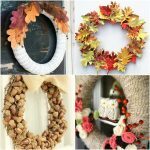 And how interesting would it be to have ombre canvases for all four seasons, that you change out? Hmmm . . . 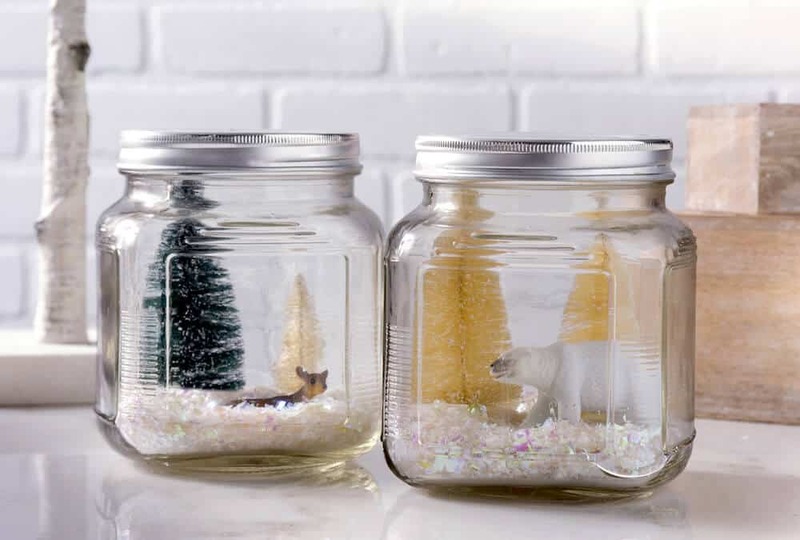 If you like this snowflake art, check out these winter wonderland dioramas! They’re easy (and pretty) too. Oh these are lovely! 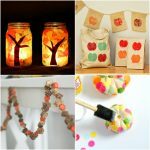 what a great idea and so versatile too. I think I may be forced to pin these!! !